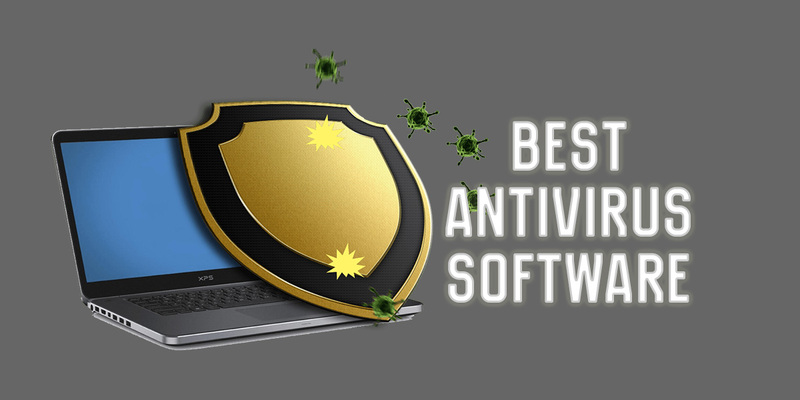 Best Antivirus Software: Many Windows-PC users think that they don’t need a paid antivirus protection for their PC and most of the Mac users think that they don’t need antivirus software at all. Despite having built-in Window Defender protection, Windows is considered as the more targeted and easy to breach operating system as compared to Linux, on the other hand, Mac is also vulnerable to malware. Whether it is a phishing page trying to capture your personal data or a malware or virus infected program slowing down your PC, every PC needs a good antivirus as its savior. No one would like to get their data and important stuff compromised or stolen – this is why we need a really good antivirus program. Even if you use your PC just for Social media and normal stuff you still need to protect it, I am pretty sure that you don’t want any hacker to override your account and starts spoiling your name. In an aid to this we have come up with the list of 10 best antivirus software for Windows and Mac. Believe me, it’s totally worth paying for Best Antivirus Software because even the best free antivirus software lacks the features which are essential for the protection of your PC. So you might to thinking which antivirus you should go for? For this, let’s have a quick shootout between Free and Paid Antivirus Protection Software. If you do a Google search for Best Antivirus Software you might land up into the free antivirus software which claims to provide the protection value as much as the paid software. Most of the free antivirus programs could only provide you ~50% protection as compared to the best antivirus software in the paid category. Although, free antivirus programs and it’s listed features put a primary good impact on your mind and your pocket but they don’t perform as good as the paid antiviruses. It is certain that all of the free best antivirus software are capable of scanning your system for viruses but many of them lack to repair malware and provide real-time protection to malware and your online browsing. The major drawback which I feel is very annoying is the ads and popups served on the free antivirus software. Although, ads on the dashboard are okay and isn’t that annoying or distracting and it doesn’t affect the performance of the software. 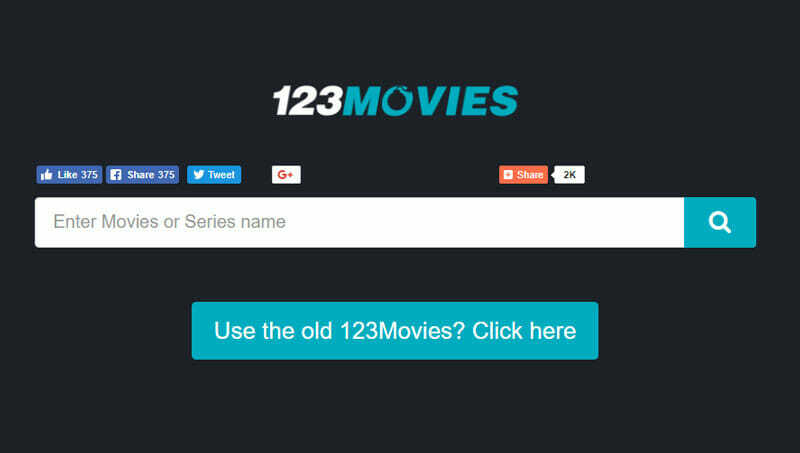 But some programs automatically launch your browser directing to their paid product page with the listed offers which lack in the free version of their programs. It might be little distracting, but it is annoying for sure. Furthermore, the biggest drawback of the free antivirus software is that the users don’t get much support from the developers. Paid software generally gives you full support on email, phone or live chat which is worth the price you pay for. On the other hand, free software leave you with loneliness giving little or no support, you would have to suffer while hunting down the solutions on the internet to get your problems solved. So, you should definitely try to avoid free antivirus software, because as soon as you install them you’ll be continuously notified that you need to upgrade to paid version to get full security. Those attractive listed features are just advertisement schemes so they may not offer remarkable detecting capabilities, cleaning, and protection. Some have loads of add-on features like secure internet banking and payment processing, browser protection, etc. Some of the antivirus withstand on speeds and efficiency of the machine, these types of antiviruses are generally suited for old computers with low configuration. Some are really very simple to use and manage which is really helpful to new and inexperienced users. Some provide really great value for money. I hope you have already figured out that what kind of antivirus you need on your PC. So, let’s start this list of 10 Best Antivirus Software for Windows and Linux. Bit Defender has earned a lot of fame and reputation in the antivirus industry. It is considered as one of the best antivirus software currently. Undoubtedly it’s performance is rated maximum by independent AV tests. The company had been regularly adding up new features which will protect the PC from emerging threats like ransomware. This Antivirus comes with really reliable Autopilot protection mode which could be left as default. Online activity, file, running application and everything is protected in real time along with firewall being enabled. What I personally love in this antivirus is, OneClickOptimizer which boosts up the PC speed by automatically clearing browser cookies. However it results in logging out of all active browsing sessions, this feature might be unliked by some people but for me, it is really useful. Apart from security against different threats bit defenders provides add-on features like vulnerability scanner which scans windows for missing Windows updates, weak password notifier, weak wifi security protection. Moreover, this AV comes with encrypted wallet feature in which you can share with any of your devices. This wallet is the master key to store all of your credit and debit cards credentials at one place. 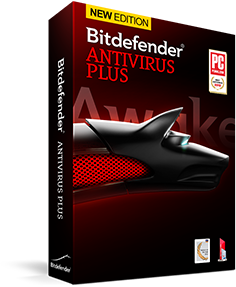 This AV also offers safe pay browser which is offered whenever BitDefender detects that you are on a banking page. 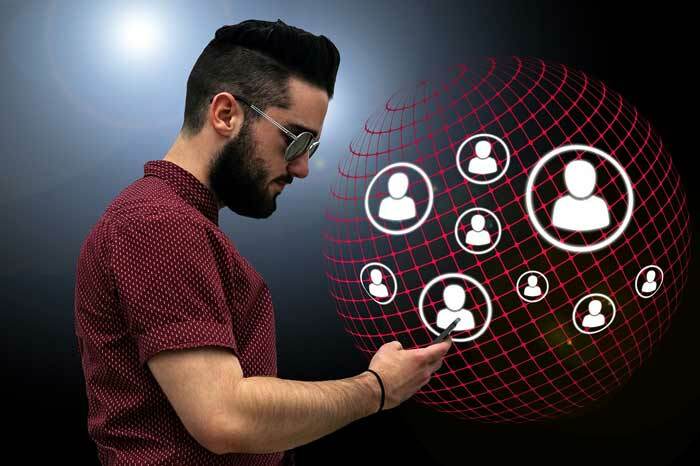 The safe pay browser could be very vital when you need to send sensitive data over a secure connection on a much-isolated medium. Gone are the days when you needed to put secret folders with password protection. Bit defender now comes with secure file vault, storing all of the files and documents which you don’t want anyone else to see. Kaspersky Total Security is yet another antivirus with high-end security and many extra features loaded. If you go and ask 5 security experts about best antivirus software at-least one of them will name Kaspersky Total Security. Despite having real-time protection with high detection rates, this Kaspersky Total Security didn’t slow downs the PC much which makes this AV enter the list of 10 best antivirus software. Apart from having regular protection against security threats, this antivirus has the capability to detect unknown malware and feature to rollback suspicious PC activities. The two-way firewall ensures the double firewall security module, Kaspersky total security comes with built-in two-way firewall security which ensures to protect your outgoing data. This two-way firewall also comes with port blocking which protects the PC by lowering the chances of getting detected from outside. In an addition to the features, Kaspersky Antivirus offers bootable Kaspersky rescue disk which is really helpful to recover the PC from malware attacks or system corruption. The AV also provides On-Screen keyboard to dodge keyloggers, even a hardware keylogger. Safe Money feature has been Kaspersky’s core features since years. Whenever you visit a financial website, Kaspersky offers safe money browser which isolates the transaction from all of the other running processes. Thus, it makes the transaction safer that before. The latest version of this antivirus has software updater which runs in the background checking for updates. Most of the times the update automatically applies the updates with one click “auto update” button. Software cleaner checks the system for suspicious installation activities, hidden processes, and programs, unwanted software and offers to uninstall them. It also finds the programs which you use very rarely. Norton Antivirus is a big name in the Antivirus industry and they have made one of the best antivirus software till date. One thing which I like most in this Antivirus is when you run the installation it downloads the latest version of software along with latest virus definitions. All of the other antivirus asks the user to update the definition after the installation completes. Once you install Norton, it’s all set to tackle the threats in your system, no update prompt and no waiting time. To perform a scan of the system more quickly Norton offers insight scan, which doesn’t scan those files which are trusted and not meant to be scanned. The special thing about insight scan is that it completes the scanning up to 5x times faster than the normal full PC scan. This product also boasts with Norton power eraser, which is capable of cleaning a resistance malware. This tool comes handy when you think that the regular scan may have left some malware, the power eraser will remove that malware easily. This entry level priced antivirus is also powered by the leading 24×7 threat monitoring and global security network. This feature will safeguard you even from unknown and new security threats. Now being online you no need to worry about having last to know security. Furthermore, this basic antivirus doesn’t use annoying ads to upgrade the product. Quick Heal Total security is my all time favorite paid antivirus of all time. This is the name which immediately strikes in my mind when I heard or read “best antivirus software”. Most of the antivirus tend to delete the file which is infected with the virus, but on the other hand, Quick Heal Total Security tries to repair the file and is successful most of the times. The dashboard of the antivirus is loaded with tools but is easy to use at the same time. Quick heal has a lot of protection features such as Anti-Spyware/Adware, Anti-Spam Filter, Email Protection, Firewall, Vulnerability Protection, Web Protection. As far as privacy protection is concerned this AV has got ID theft controls, Safe Banking Payments, Personal Data filter, Parental controls (block specific websites as an add-on feature). When it comes to support, Quick Heal never leaves its customers on the midway. The antivirus provides 4 channel support system which consists of Email Support, Frequently asked questions, tutorials, and phone support. The customer support executives know their job very well and they are eager to help their customers on a priority basis. Eset Antivirus deserves a position on this list of best antivirus software for its high detecting capabilities, very less impact to system resources such as RAM and CPU usage. Furthermore, this antivirus application tunes the system to boost the PC loading time and lowering the shutting down time. Not only this, the antivirus is known to have anti-phishing attack security, malware and trojans detection and smoother system performance. 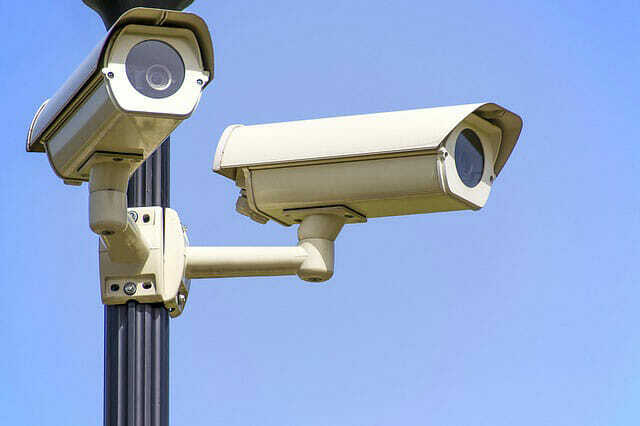 Its real-time scanner is so quick that it terminates the threats before it executes. Eset Nod32 Antivirus has performed very well on the independent AV tests. However, the antivirus lacks when while detecting ransomware threats. The integrated email-protections scans the email attachments you receive for malware and spams. The antivirus also scans the USB drive as soon as it is inserted in the PC. Eset has 3 channels of technical support which are – Email support, chat support and phone support. Email support is available all the time but you may not expect phone and chat support on weekends. We cannot forget the name Avast if it comes free best antivirus software. This antivirus not only for windows but a great antivirus software for mac too. I have been trusting avast to secure my windows and mac since childhood. This antivirus is free forever, this is what Avast says. Being a free licensed antivirus, Avast offers so much which gives tough competition even to the paid Antivirus software. The free antivirus protects your PC efficiently with regularly updated virus definitions. Even if you encounter with some malware, you can always upload it to Avast’s server for analysis. With Avast you can scan a single drive, folder or a file just with a right-click. However, Avast won’t scan removal drives automatically after insertion. Avast also boasts with Network & Router Scan which check your network and connected visible devices with security loopholes. When it is launched, you get the list of devices it sees with all the connected devices and reports the security issues. This Network scanner also gives you the chance to check how many devices are currently authorized. Most of the PC data exploitation can be prevented if the Operating system and programs are all updated. Security loopholes are fixed in updates which make it harder to breach beyond. This is where Avast comes really useful, it scans the application for latest updates and updates it too. All you need is to perform few clicks! McAffe Antivirus does not need any introduction, the antivirus is a well-known brand in the Antivirus Industry. 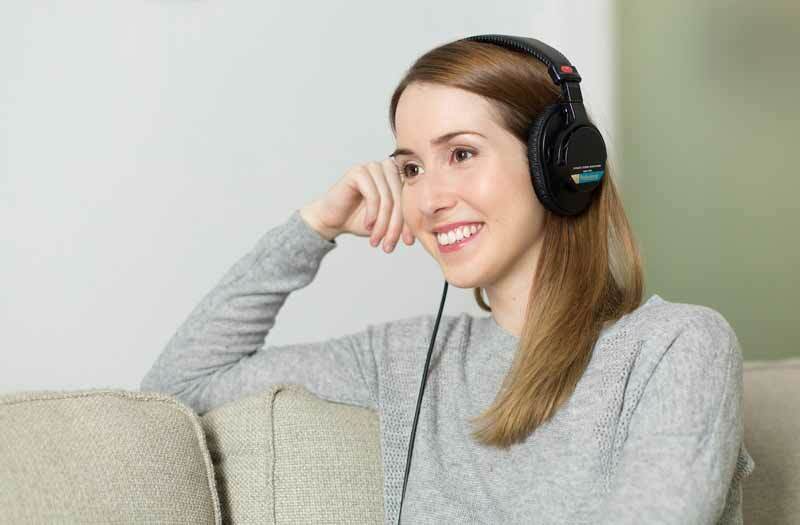 With the product line, McAfee vows that if the antivirus can’t remove any virus or any other malware, the support team will do anything they can to remove the malware which includes (but not limited to) remote diagnosis and remediation. However, if they fail to remove the malware, you get your money back. McAfee is an award-winning antivirus from various organizations. Its seamless virus detecting capabilities are a just nightmare to the hackers. Apart from that, this antivirus is also loaded with the risky website and sneaky downloads blocker. Furthermore, the antivirus protects your device from spreading of malware and spam. What I loved about this antivirus is, once you purchase a license from McAfee you don’t need another. You can protect all of your devices from threats with a single license of McAfee Antivirus Plus 2018. These awesome features in McAffee Antivirus Plus 2018 is enough for it to be the part of best antivirus software list. This is one of the best antivirus software you might ever come across which is available as freeware. It has got almost every features which you get in a good paid antivirus. Furthermore, Avira Free Antivirus is also capable of tackling ransomware, which is a new security threat in the technology field. This antivirus even provides you Real time cloud scanning, Avira’s high-end protection cloud is an early warning system which would warn you about the unknown emerging threats in the real time. With this antivirus installed in your system, you don’t need to worry about the new threats or malware coming from the internet. This free antivirus is light and uses little of your system resources which won’t put much effect on the system performance. Apart from this, Avira Antivirus is easy to use despite having loaded with features. Avira Antivirus also features Avira Browser Safety which secures your online activity from any negativity. Poisoned and phishing links are already blocked in this browser thus, ensuring that your privacy remains safe even if you click a harmful link. Your online navigation is protected against browser trackers which protect your shopping activity from getting monitored by the ad networks. Browser safety also blocks the download of suspicious files or software consisting harmful applications and warns you about the same. Apart from security measures, this browser also gives you best deals on the product you are a search for which lets you pay less and shop more! This AV is certainly a power packed and one of the best antivirus which you can choose for your system. F-Secure is the antivirus which is what we call a comprehensive protection of all the devices. With this product’s single license you can install (up to five devices) it on any of your online devices, be it Laptop, Smartphones or Tablets F-Secure SAFE protects them all. This antivirus has proven to have excellent results in independent antivirus tests with accurate spam filtering. 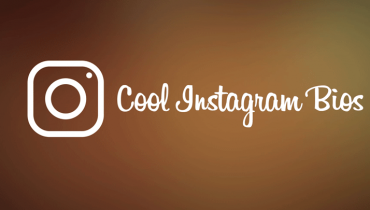 Loaded with features like system tune-up and transaction protection which automatically blocks new connection when it detects that you are browsing a banking website. F-Secure provides excellent customer support over live chat and email. The F-Secure support is best in between 9 AM to 6 PM in your local time zone. 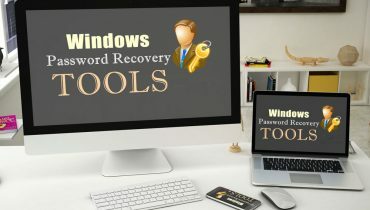 The online support pages contain all needed things like tools to uninstall the software, guide to create a rescue disk to recover from an attack. Furthermore, I found the support team to be very helpful with the reported problems. F-Secure also holds a strong community in which you can participate and learn with other fellow users. Despite giving high spam filtration rates and good performance in AV tests, some competitor antivirus software offer better value for money but F-Secure Safe is still a good antivirus in its category and made it enter the list of 10 best antivirus software. Webroot Antivirus is rapidly emerging antivirus in the market and it’s proving to be a tough competitor to the high-end Antiviruses. Being small in size, 15 MB which is 35x smaller than the average size of the competitor products it is zippy fast. The antivirus doesn’t affect the system on a marginal scale and thus it proves itself a dominating antivirus. Apart from speed and light-weight, Webroot Secure Anywhere Antivirus do perform excellently in independent AV tests. Furthermore, when the capability of cleaning malware was check, we were surprised to see that Webroot Secure Anywhere Antivirus performed 100% clean swipe of all the malware. Concerned about ransomware? This antivirus also tackles ransomware easily which ensures that your PC is safe from latest threats. Webroot has extra add-ons such as theft protection, real-time phishing page blockage, banking protection and what not. This antivirus also loads up with Webcam protect, which ensure that your privacy is kept private. Webroot Secure Anywhere Antivirus also boasts with system optimization tools which seamlessly makes your system faster. 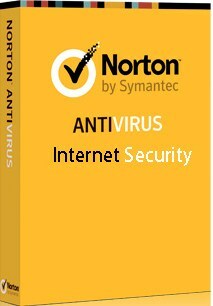 The antivirus comes with a 70 days money back guarantee, no questions asked. This is really cool, money back guarantee for such a long time is enough to prove the level of the Antivirus. This 70 days money back guarantee feature made us to include this awesome antivirus in the list of Best antivirus software. The advance and light real-time security which keeps your PC free from harmful ransomware, rootkit, trojans or any other malware. This is the well-known antivirus software which you can always count on to secure your PC against any threats. The antivirus has got advanced artificial intelligence with real-time protection which secures your PC to track suspicious activity and fight against new malware. AVG Internet Security has a lot more things to deserve to be a part of the list of 10 best antivirus software. AVG Internet Security has got well researched and tested advanced firewall which keeps hackers from accessing your personal data. AVG also boasts real-time outbreak detection which uses cloud-based technology with the help of AVG users to identify even the latest security threats. This cloud-based system converts any new threat report to secure the entire user’s community of the AVG family. The AVG Internet Security is also packed with WiFi guard to secure your PC on a further more advanced level. It helps you to identify malicious hotspots used by hackers by reporting you a warning when you connect to a suspicious or open WiFi network. PUA Scanner which is a standard part of AVG Internet Security scans for any potential harmful files or application which could lead to your data and security compromisation by giving a warning while you download the same. Software Analyser in AVG Internet Security monitors all of the currently running applications. If any software which is found performing an unwanted activity, the tool warns you with a message. This helps you to stay away from the security threat which may occur (for example keylogger bound software to record your screen or your banking password strokes). This was the list of best antivirus software for Windows and Mac and this was a result of weeks of research and years of experience. I have tried my best to include all the top antivirus in this list, however, if you find anything missing or want some replacement then kindly let me know in the comments sections. Have some thoughts or questions? Shoot them up in the comments, we will be right back to you.